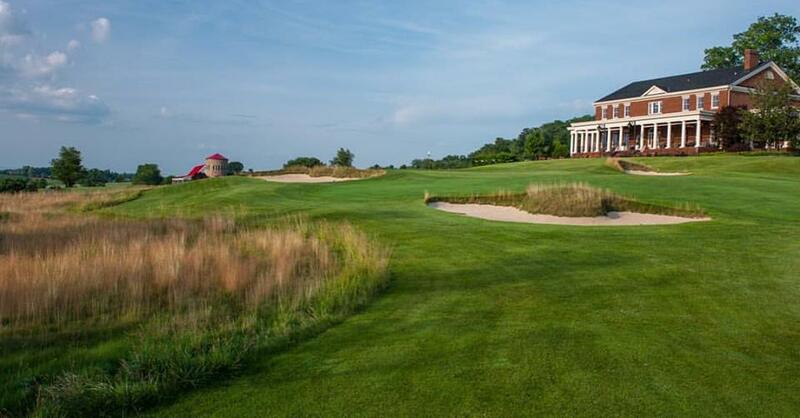 There are some outstanding golf courses all around the state of Virginia, with plenty of choice for locals as well as visiting golfers. With locations in the mountains, overlooking lakes, and spots with history galore, here are some of the best. 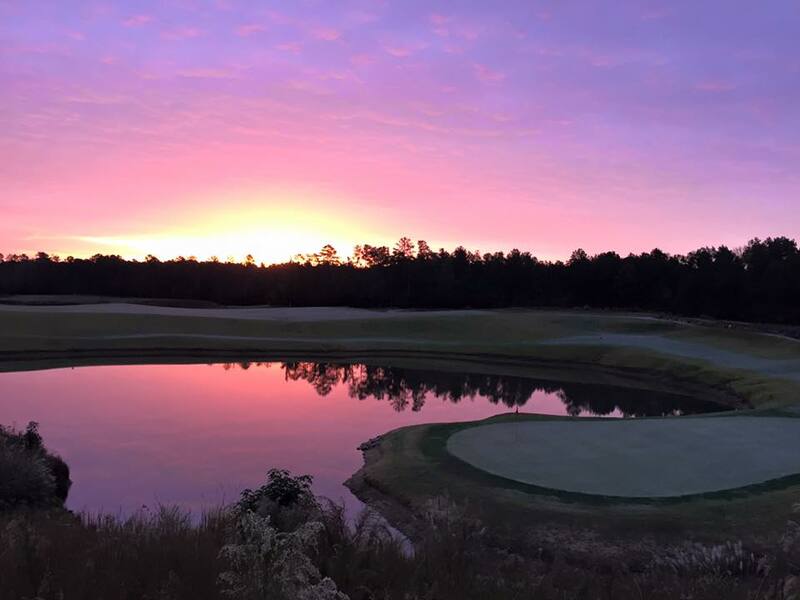 This has been one of the top golf courses in Virginia for many years. Members and their guests can experience a premier world class golf course and knowledgeable caddie staff. There are cottages convenient for overnight accommodations as well. The Homestead is Virginia‘s premier mountain resort, and the Cascades course is fit beautifully and naturally into the mountain terrain. 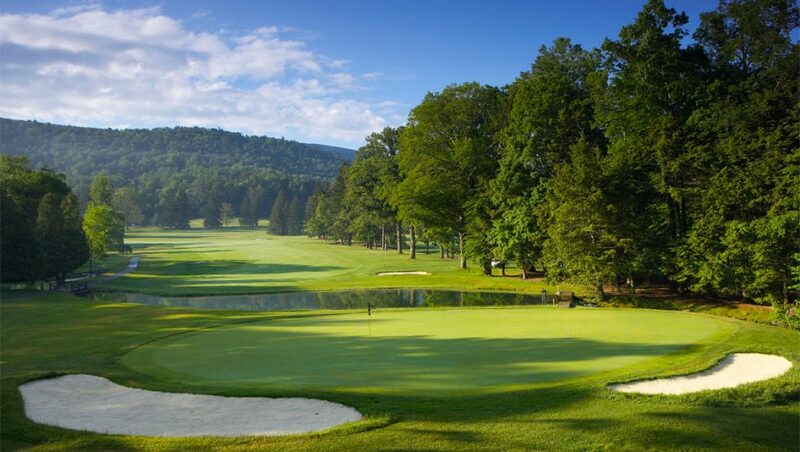 While the setting is outstanding, the course is challenging but also full of history – Sam Snead launched his career on this fine Virginia mountain golf course. Located at Bristol in southwest Virginia, The Olde Farm golf club is routed through a valley that was a thoroughfare for Confederate soldiers during the American Civil War. Playing a game of golf here is not just about the game but about the entire experience. The course is full of creeks, streams, rocks, and rolling hills, with several barns and other structures incorporated into what used to be a working farm. 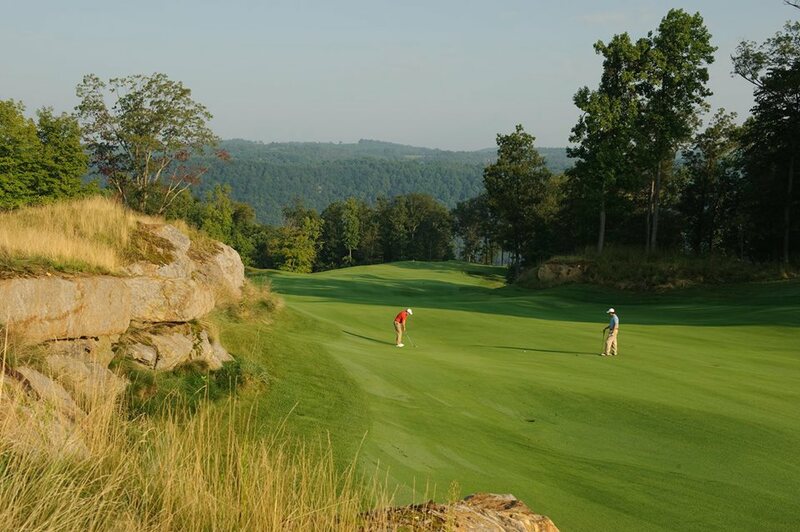 The Highland course at the Primland resort winds its way through the Blue Ridge Mountains, over mountain ridges and valleys with stunning views all around. If you play here, make sure to stop and admire the scenery before going onto the next shot. 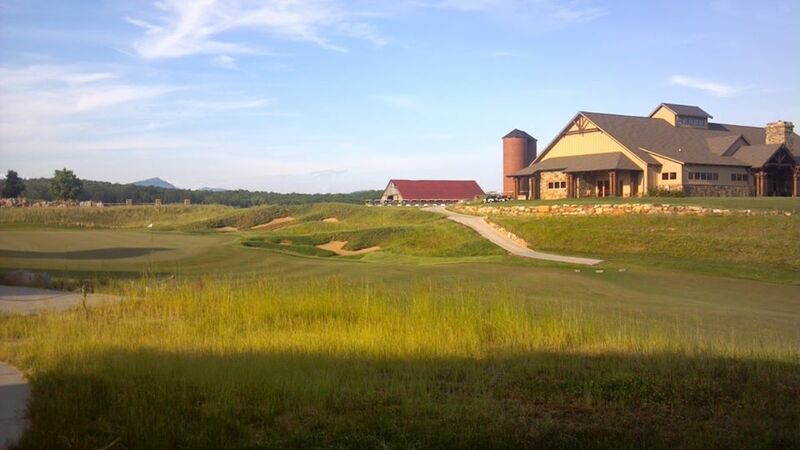 Ballyhack Golf Club is a private destination golf retreat that is located near the Blue Ridge mountains of Virginia. The 190-acre retreat is shaped to be in unison with the natural terrain and landscape of the area, and features elevation changes, wide fairways, and blown out bunkers. It’s quickly become one of the most sought after membership golf courses around. 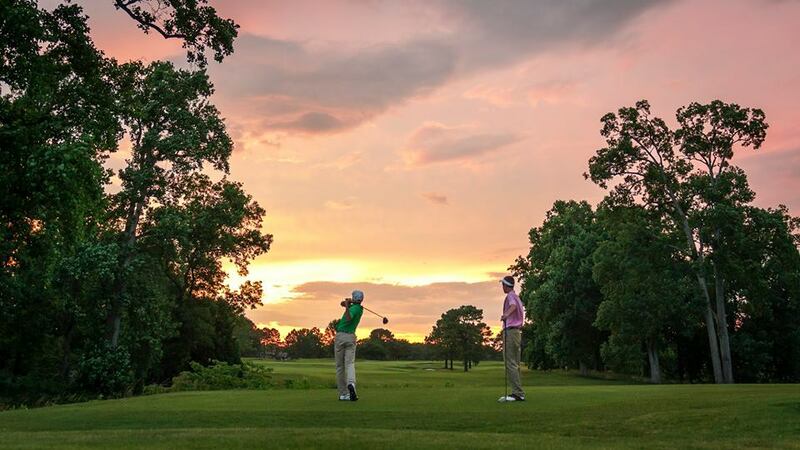 Ballyhack also offers limited Stay and Play packages for non-members to experience all the club has to offer. 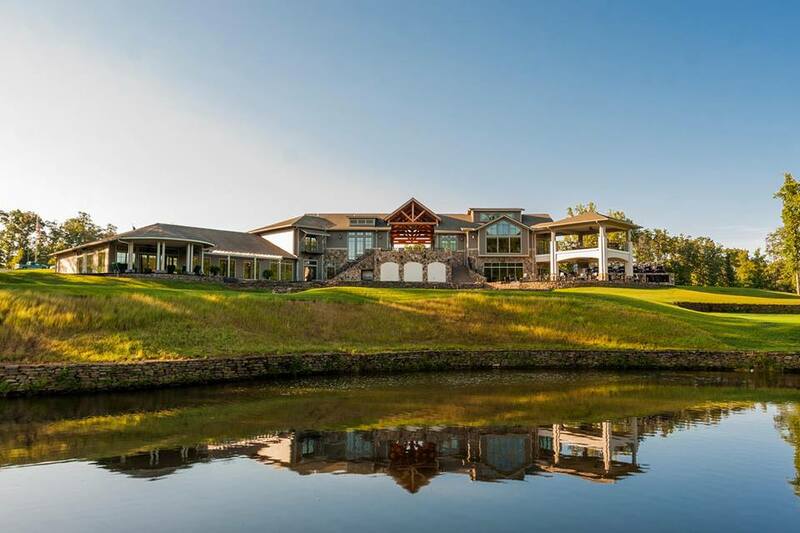 This luxury golf community features an 18-hole golf course along with a clubhouse, and a swimming and racquet club. Set at the foothills of the Appalachian Mountains, this is another Virginia course that is a nice peaceful place to play. One of the most spectacular and pristine public courses, Spring Creek is a bit of a hidden secret. Beautiful environments and outstanding course conditions make it a sought after course for those in the know. 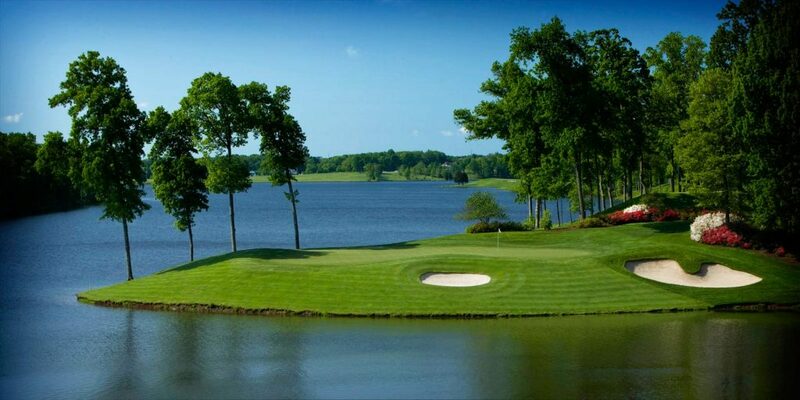 Kingsmill has three great golf courses (River, Woods and Plantation), a gorgeous clubhouse, an immaculate putting green and many stunning views along the James River. If that sounds great to you, head on over right away. A secluded setting with a lovely clubhouse and porch to watch golfers finishing, plus a great range and practice area means this golf course has a lot going for it. It’s a bit off the beaten path, so makes for an easy playing experience. 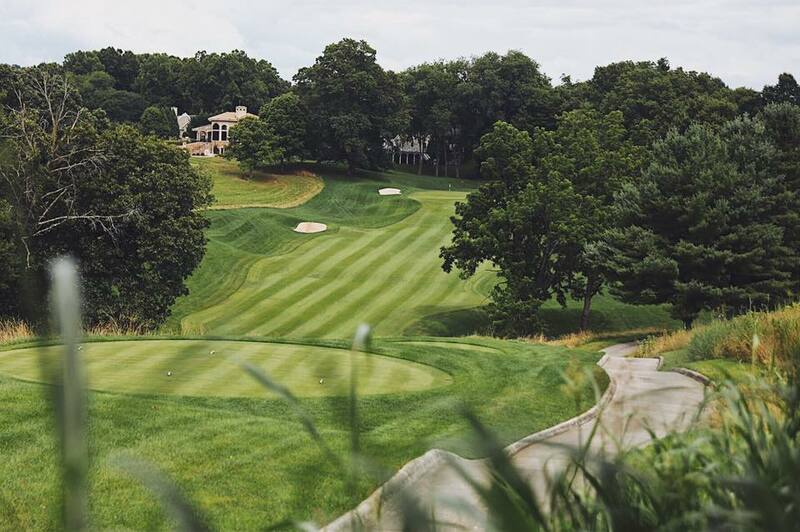 The Robert Trent Jones golf club, situated in a suburb of Washington, DC is a private golf club for members and guests to experience a fine golfing experience. It’s exclusive and expensive, but is considered one of the top courses in the area. This is no ordinary golf course. 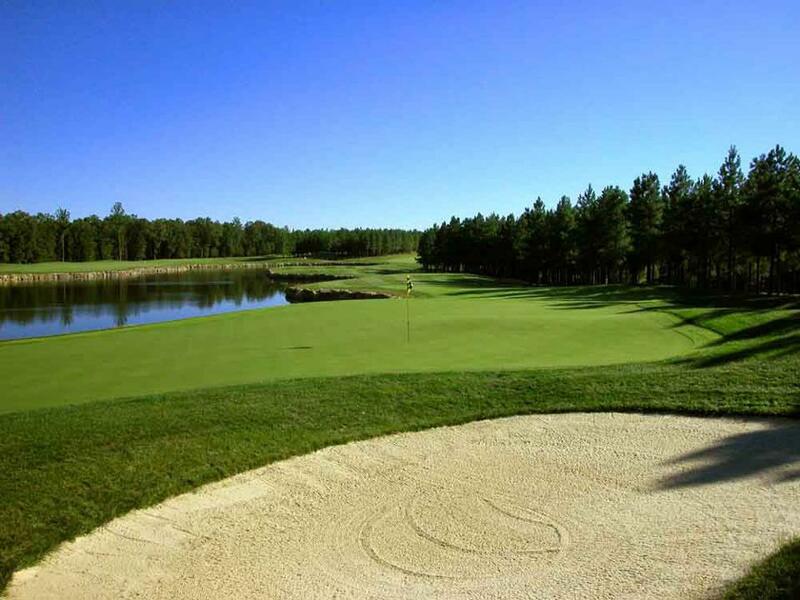 The expansive and unique layout make it one of the toughest courses in the country, but if you are up for a challenge, you can experience the elevation changes, uneven lies, blind tee shots, and a number of bunkers.